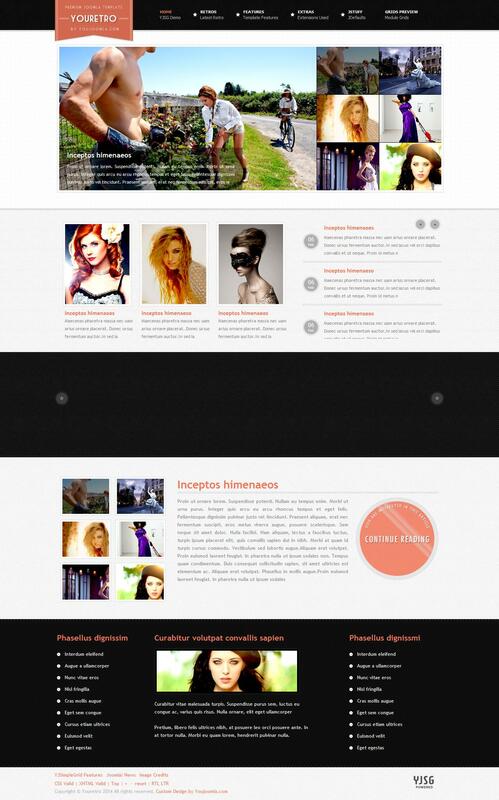 YJ YouRetro - the novelty of the design studio YouJoomla popular for creating websites portfolio. This template works on a very powerful platform YJSG Template Framework, which provides a flexible and quick work layout. In the assembly includes popular extensions Developer: YouRetro Slider, YouRetro Reader, K2, YJ Module Engine, Youyork Module Slider, YJ Newsflash 5.0, capable of qualitatively increase the functionality of any site.